A big well done to all the members of our Junior Kickboxing class who graded yesterday. Excellent effort from everyone there and it showed they had benefited from our special syllabus seminar that we held last week. 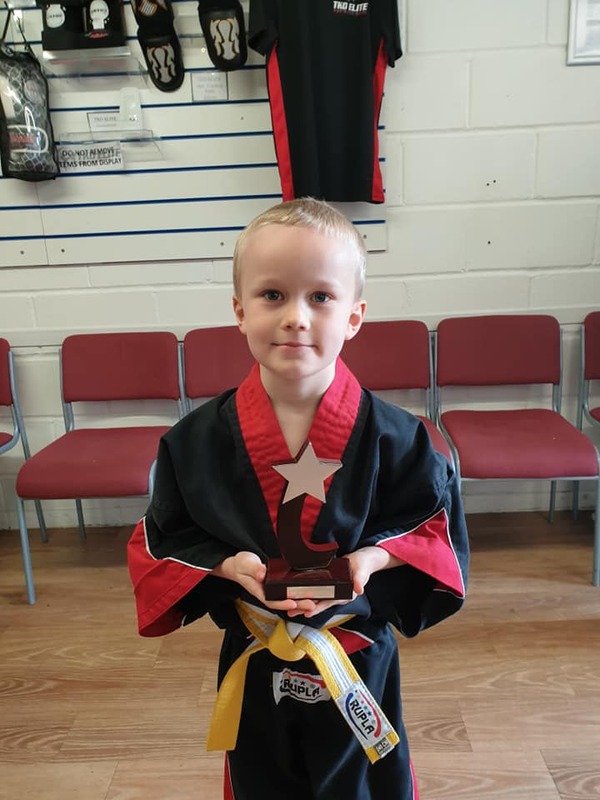 A special mention to the 2 winners of our special grading awards, Reece Fisher (in our featured picture) and Tyler Smith. Well done! Our next grading date is now set for Sunday 23rd June. Please note it was originally set for the 16th but as we have found out that’s Fathers day we will move it back a week.